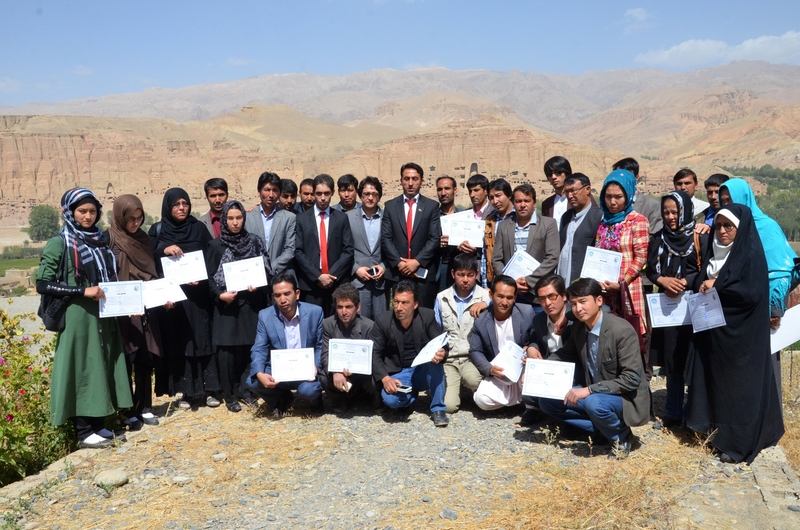 Since more than one decade, the South Asian Foundation (SAF) and the UNESCO-Madanjeet Singh Center for Preservation of Afghanistan’s Cultural Heritages have organized several training courses toward growth and improvement of cultural activities and protection of Afghanistan’s cultural-natural heritages and introducing of its moral and material values. In the continuation of public awareness programs of cultural heritage preservation to high school teachers, the 20th awareness giving course of cultural heritages protection was held from Sept. 12 to Sept. 17 in ancient Bamyan province which is now the cultural capital of SAARC-2015. 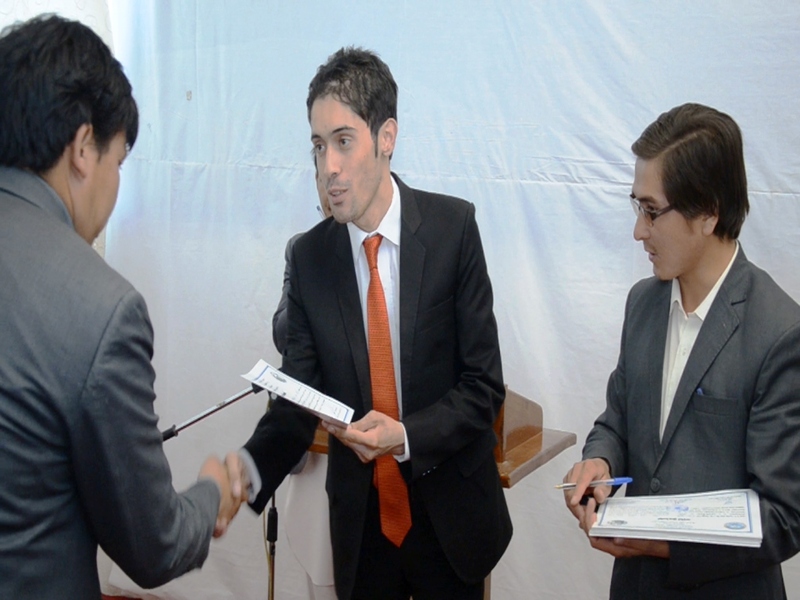 At the concluding ceremony of the course which was held in the cultural center of Bamyan with the participation of large number of culturist, members of civil society and Bamyan provincial council members, appreciating cooperation of Bamyan provincial department of Information and Culture for better coordination of organizing the awareness course, Secretary to South Asia Foundation in Kabul, Hamidullah Arefi said Bamyan is that territory that thousands secrets are hidden in the heart of its each rock and the ruins of its Gholghola, Chehelborj and Zuhak narrate hundreds myths from the rich and magnificent history of this lovely territory, a city located in the path of Silk Route and was the cross road of big commercial caravans and enjoys importance since long times. “This city has always been studied and researched by different tourists and researchers. Unfortunately the two giant Buddha status which were the sign of history and culture of the ancient territory were stormed by regime of petrified Taliban and an irreparable damage was inflicted to the touristic industry of this province.” Arefi stated, saying that South Asia Foundation was committed to protect Afghanistan’s cultural-historical heritages through holding of such awareness courses. 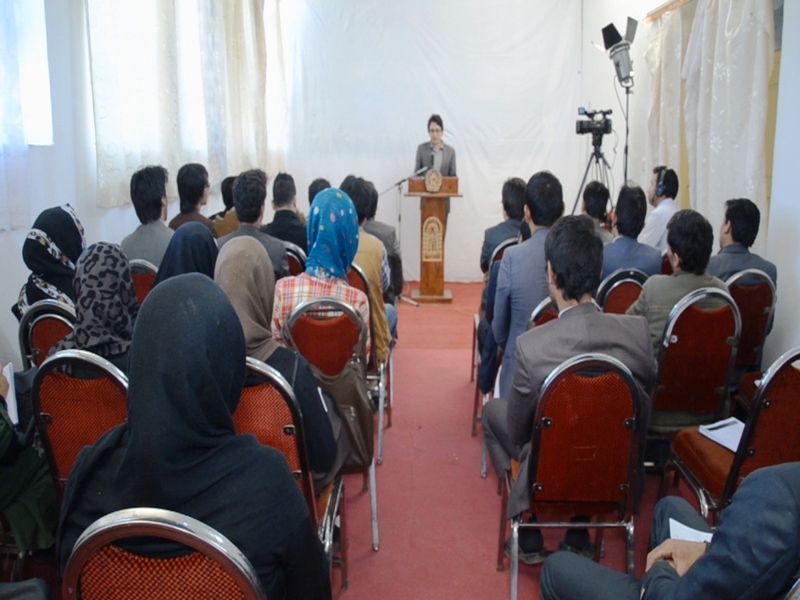 “I hope our trainees would have learned more from this course and send our message which is preservation of Afghanistan’s cultural, natural and historical heritages, to their students and friends.” Arefi said, adding that we should all stand together and raise our vices for preservation of our rich and unique cultural heritages. In a telephone conversation with The Kabul Times, the head of training center for cultural heritages, Sulaiman Ahmadi said that it is clear to everybody that our country is famous due to its moral, material and cultural heritages and protection of which increases its value. “First of all, it is necessary that information be given to public on these assets, so they would fulfill their national obligation for their protection. With the help of SAF, this center is obliged to introduce moral and material values of the country through holding of training courses.” Ahamdi added, stating that fortunately all our efforts proved fruitful and produced expected results. Talking on the subjects being taught in these courses, Ahmadi said these subjects include archeology, general history of Afghanistan, cultural and natural heritages, museum management, protection of historical monument and introduction of ancient sites. “A training course under the name of “Public awareness for preservation of Afghanistan’s cultural heritages” was organized from Sept. 12-17 in Bamyan with the financial support of SAF and the main goal was to give awareness on cultural heritages to school teachers for their capacity building. They will share and explain these values of cultural heritages to their students. Holding of such courses and invitation of participants take place based on regular plans. First we have held and invited professional employees of the MoIC from Kabul and provincial relevant departments and improved their capacities on cultural heritages. Secondly, the teachers of Kabul schools have benefited the awareness courses and now we are moving to our provinces to further raise the awareness", Ahmadi added. Talking with The Kabul Times reporter, chairperson of SAF-Afghanistan, Omara Khan Masoudi said, Totally 30 people received training in Bamyan course which was included teachers of social science from high schools, employees of the Bamyan provincial department of information and culture as well as members of civil society. 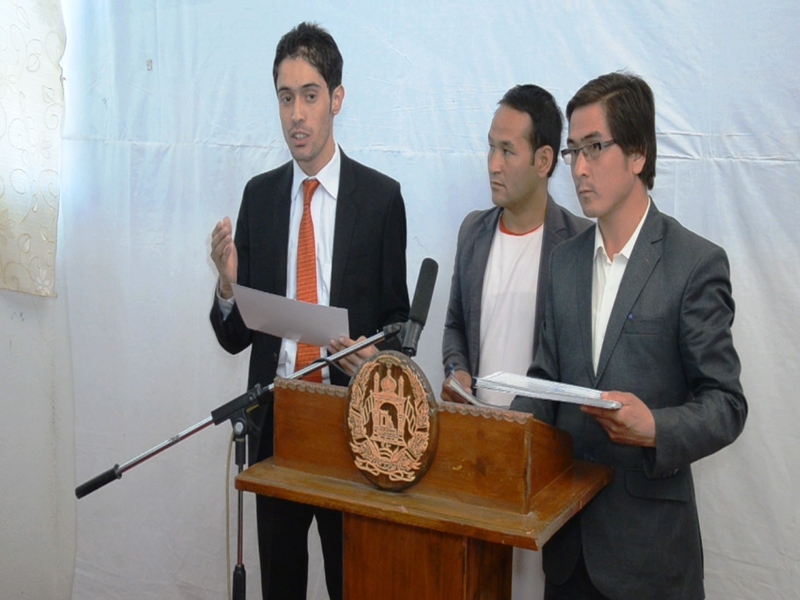 “All subjects including history of Afghanistan, protection of natural, cultural heritages were taught by lecturers of Bamyan University to the participants” Masoudi said, adding that he believes that holding of such courses is positive and the trainees would benefit from the content of the courses. Ms. Suraya, one of the participants of the Bamyan program said: “this course was unique and totally different from other programs which I have attended previous and I was taught many issues on cultural heritages that worth to thank from our teachers and South Asian Foundation that supports such extraordinary effective programs.” She added, stating that SAF should extend the period of these course so that further teachers would be able to attend it and collect essential information and pave the way for scientific tours to participants to acquaint with cultural-historical relics.